Our management staff can periodically review your historical travel patterns and make suggestions on ways to help maximize your travel budget or eliminate costs by creating efficiencies using best practices and well established guidelines. Business Travel & Tours can assist in creating an approval process, writing travel policy or enforcing established policy. Our software uses patented technology to scout hundreds of internet sites sifting through multitudes of flights and fares to find the lowest cost options based on your specific needs and requirements. If you like booking your corporate travel online but still need the quality assurance of a travel professional, you can make your reservations on our booking engine, Concur Travel, which allows for convenient access 24×7. Concur allows for management notification for purchases and helps maintain control over your travel budget to ensure corporate and Government policy compliance. CLICK HERE for more information about online booking. Business plans are frequently changing. Business Travel & Tours travel consultants anticipate change and will hold your reservation for up to 24 hours prior to ticketing. No fees are assessed for changes before ticketing. Should you encounter an unscheduled itinerary change in the middle of the night, our 24 hour toll free emergency service can assist you with any change. Find out where your travelers are at any time. The online calendar allows your coordinator to view all your traveler’s pre and post trip itineraries – All this from your desktop, at no charge. Our company has developed a system that double checks the accurate application of seat assignments, corporate discount codes and frequent flyer numbers on each itinerary. Where is your T&E budget going? Business Travel & Tours has online management reports that will help you analyze your travel patterns and policy adherence; saving you time and money. CLICK HERE for more information about our online reporting. If you are thinking about rewarding your top performing employees with an incentive trip we can make all the arrangements. Need suggestions or ideas? 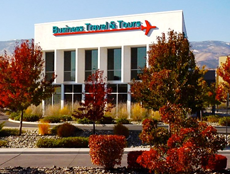 Visit our office and talk to our travel professionals. We track every unused ticket using automated name recognition software that attaches any unused ticket or residual value directly to the passenger’s profile for easy viewing by your reservation agent. Online reports are also available. Call us at (775) 324-1777 or contact us online. Pati is amazing at finding and arranging international travel, even last minute, and continual works to find the best route, price, and even seat. I would recommend her for all travel planning. As a long-time client of Business Travel and Mandi Mendez I can attest to their outstanding level of service! I travel for business and I can always count on them to find me the best flights, rental cars and hotels. They go out of their way to find out what my specific needs are for each trip and then match the arrangements to those needs. One of the "little things" I appreciate is the detailed itineraries that include all the numbers, addresses, etc. to be able to handle most developing situations. They have also arranged many vacation trips for my wife and I, with the same high levels of service. I can't imagine going anywhere else for my travel! My wife and I had been to 40 countries without using a travel agent. We considered ourselves travel pros or at least serious amateurs. We really used Mandi Mendez on something of a whim! We are converts. Never again will we do all the tedious leg work on our own. And the biggest surprise of all is that going through Business Travel got us better deals, insider treatment and wound up costing less than we could have cooked up on our own. Mandi listened. She learned what we really wanted and made sure we got it. We already have two more trips lined up with Mandi Mendez. Why did we wait so long? Mandi with Business Travel so effortlessly and efficiently handled our entire trip. Our questions were always answered promptly and she made us feel as though we were the only ones she was taking care of. Mandi was extremely helpful, honest, and so kind. She went above and beyond to ensure that every single detail was handled. We now feel as though she is our very own personal travel specialist and cannot imagine planning a trip without her. For the past several years we have had the pleasure of working with BT & T on a weekly basis for our travel arrangements. The owners and staff are great to work with for all our travel needs, both business and for fun. 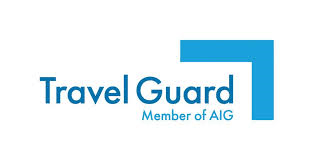 They always are pleasant to work with, are prompt in processing our arrangements and returning calls, go above and beyond making sure our travel needs are what we asked for, and should a change be needed, they always are there to accommodate and help us. They are also great in suggesting different options, travel routes and itineraries, and help saving us money. Love working with them – especially Angie!